First Linen ‘n Things closed, then the Old Navy Store and shortly thereafter it was Lowes. 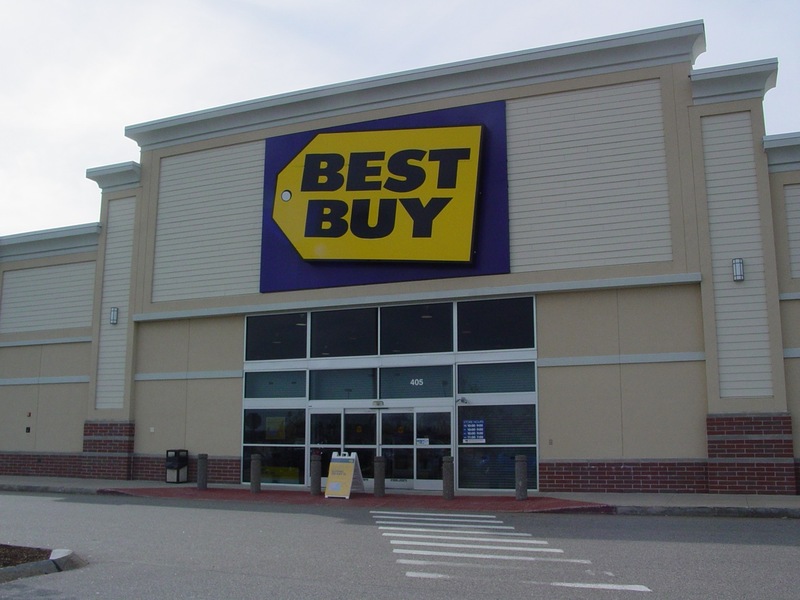 Now, Best Buy will be the fourth major store at Biddeford Crossing to close its doors. According to Kelly Groehler, a public relations representative for Best Buy, closing the store was part of plan to shut down 50 stores nationwide. In an email to the Courier, Grohler also confirmed that this will be the only store in Maine to close. The documents supplied by Groehler state that the company is attempting to focus on big box stores and very small mobile stores. Unfortunately, the Biddeford store was somewhere in between. According to data in the New York Times and the Wall Street Journal, big box stores and mobile stores are two of the most profitable types of retail outlets for the company, and in the fiscal year that ended on March 3, Best Buy had losses totaling $1.7 billion. In the previous fiscal year, the company had profits of $651 million. The announced restructuring plan is an attempt by the company to slow or stop these losses. Groehler indicated that California (seven), Maryland (six) and Illinois (six) would be the states that have the most store closings. “The store and the employees were notified early Saturday morning,” Groehler said. After that, the company contacted customers in the area by email. Best Buy sent the customers of the Biddeford store a simple four sentence email indicating that the Biddeford location will be permanently closed on or before May 12. The notice said that the store would be temporarily closed today, but re-open tomorrow and stay open until May 12, or until they sell their remaining merchandise. Best Buy has also removed the Biddeford store as an option when trying to find a store in this area. When searching for a local store on their website, the Biddeford location is no longer listed. The closest store to the 04005 (Biddeford) zip code is now in Portland, at the Maine Mall. Customers and interested parties flooded to the store Saturday afternoon. The main doors were open only about three feet and as people approached the store, a representative from the company came forward and explained they were closed for the day. Managers of the company asked employees not to speak to the press about the closing and all inquiries were referred to Best Buy’s Minnesota based public relations department. Groehler and the company would not disclose how many employees would lose their jobs because of the store closings. “We are trying to find places for them within the company,” she said. The representatives at the store confirmed this. Instead of fixing computers and working on the latest electronic devices inside the store, members of the Geek Squad spent the afternoon quietly sitting on the bench in front of their workplace wondering what to do next.